This is for all the lazy souls like me - in a mood to eat something tasty, but in no mood to cook for long. 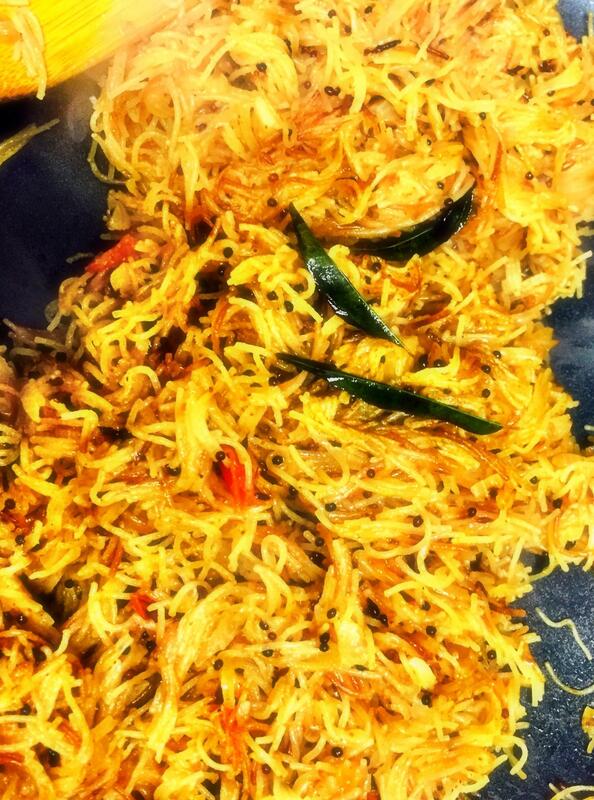 Vermicelli, or also known as seviyan in Hindi, is commonly cooked as a sweet dish in Indian subcontinent. As I try to be away from all things sweet, I came across this recipe which uses this in a quite spicy flavor. So, here is my super quick and tasty recipe for these noodles. It takes less than 12 minutes ( 4 Minutes Preparation + 8 Minutes Cooking). Once Seeds start to pop, add garlic and cut onions. Add spices, curry leaves, peas and tomatoes. After about a minute, add noodles. Once the noodles have become light golden brown in color, add 1/2 cup of water (about 2-3 minutes). Let it cool before serving. You can use some ketchup or sauce with it. I like adding peanuts to it while frying onions. The sweet dish seviyan made out of this is also known as shemai in Bengali, sev in Gujarati, shavige in Kannada, sevalu or semiya in Telugu, and semiya in Tamil and Malayalam. 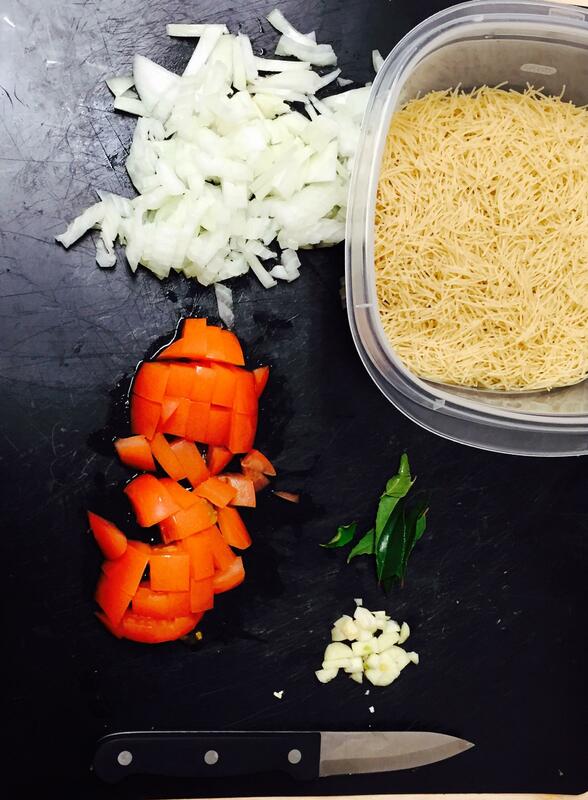 The recipe above is also commonly known as upma in various parts of India.